The San Diego Water Board is suing the U.S. section of the International Boundary and Water Commission (IBWC), claiming it is violating the Clean Water Act by not monitoring or stopping untreated waste flowing to the Pacific Ocean from the Tijuana River. The lawsuit also alleges the IBWC has discharged millions of gallons of waste, including untreated sewage, trash, pesticides and heavy metals from its treatment facilities into the Tijuana River, which flow through the Tijuana Estuary, into the Pacific Ocean and are pushed north onto county beaches. Shorelines of Imperial Beach and the Tijuana Estuary are often closed to the public after spills on the Mexican side of the border, and also due to contaminated runoff following rainfall. According to the lawsuit, beaches in Imperial Beach have been closed around 150 days a year due to contaminated runoff the last two years. Closures sometimes extend as far north as Silver Strand State Beach and Coronado. NBC 7's Mari Payton has more on the battle in court over contaminated sewage flow from Tijuana making its way into San Diego, leaking into the Pacific Ocean and washing up on county shorelines. 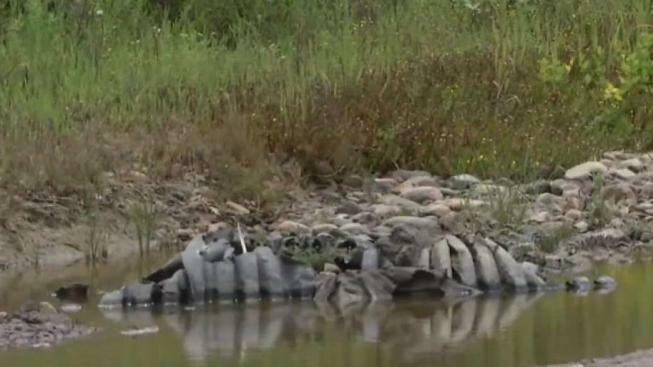 The lawsuit is asking the court to force the IBWC to comply with the Clean Water Act and the National Pollution Discharge Elimination System (NPDES) permit. The lawsuit is being filed subsequent to the water board and state Attorney General’s Office’s 60-day notice of intent to sue. U.S. District Judge Jeffrey Miller said in August he would continue reviewing evidence before ruling on a government motion to dismiss the lawsuit. The government also argued that the IBWC does not have “an open-ended legal obligation to capture and treat all transboundary flows,” and for that and other reasons, Judge Miller should dismiss the lawsuit. Imperial Beach resident Irl Finnell said he’s not surprised by the state taking legal action. "I think the amount of sewage that's being poured in there, you really are taking a big risk even just coming out,” he said. “I worry about the sand itself, the contamination of that. It's astronomical, it really is. For a beautiful city like Imperial Beach, for it to be shut down for that length of time, I mean, that affects not only our tourism but it affects everybody that lives here." 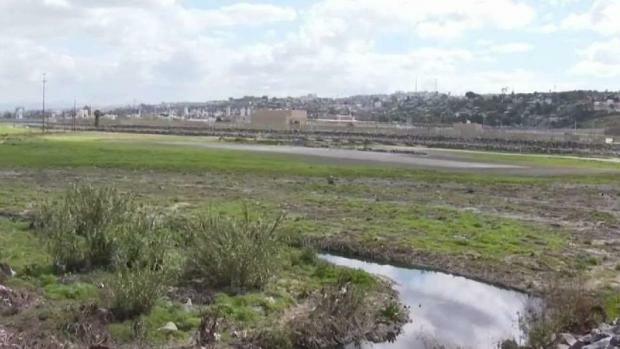 Right now, the amount of waste coming in via the Tijuana River isn't monitored. Next month, the water board is going to ask the IBWC to begin constant monitoring. The Tijuana crosses the U.S.-Mexico border just west of the Otay Mesa Port of Entry and travels northwest, through the Tijuana River Estuary and into the Pacific Ocean south of Imperial Beach.